There is a superstition that any chief minister visiting Noida loses power and does not come back to assume the office again. 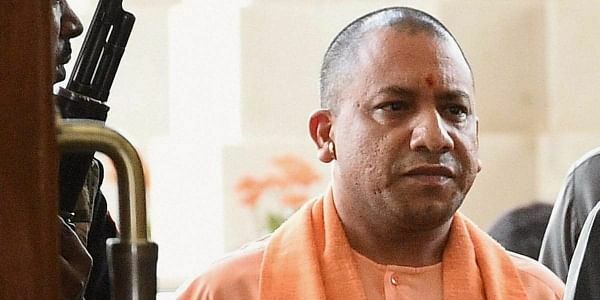 LUCKNOW: All set to break the so-called 'Noida jinx', Uttar Pradesh Chief Minister Yogi Adityanath will attend a function in the satellite city in which Prime Minister Narendra Modi will inaugurate the Noida-Kalkaji Metro line on December 25. "Adityanath will not only be present at the inauguration ceremony with Prime Minister Narendra Modi on December 25, the birthday of former Prime Minister Atal Bihari Vajpayee, but also visit Noida on December 23 to take stock of preparations for the grand programme," BJP spokesman Chandramohan said. "Our chief minister believes in working in the interest of people and does not care for superstitions, which have prevented past chief ministers from going to Noida. With his visit he will also end the superstition attached with the place," he said. Adityanath's predecessor Akhilesh Yadav stayed away from Noida. He did not attend the Asian Development Bank Summit organized there in May 2013 though then Prime Minister Manmohan Singh was the chief guest. Akhilesh Yadav had launched the Rs 3,300 crore development projects, including access to six-lane Yamuna Expressway, through video link from Lucknow. The family members of Dadri lynching victim Mohammad Akhlaq were brought to Lucknow from there to meet Akhilesh Yadav. The superstition attached with Noida began with then chief minister Veer Bahadur Singh, who was asked to step down in June 1988 by the central leadership. Interestingly, he had just returned from Noida, when he was asked to relinquish office. When the BSP lost power in the 2012 Assembly election, the Noida jinx was back in the news.